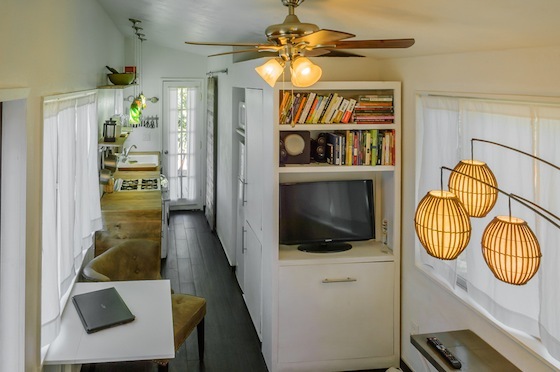 Macy's MiniMotives tiny house sits on a 24' by 8' flatbed trailer and it has about 232 square feet of interior space including the sleeping loft. 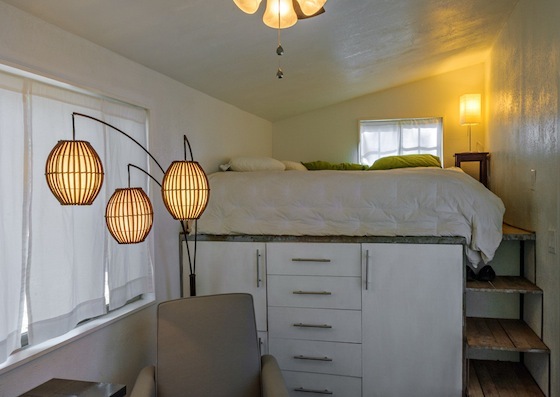 If you exclude the sleeping area it's just a total of 196 square feet. 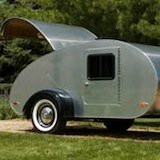 The reason she built it on wheels was to get around codes and zoning easier. 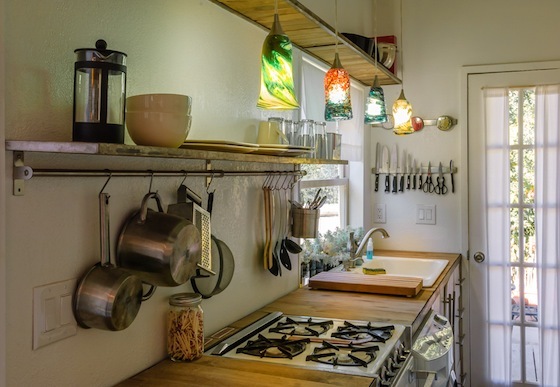 Her goal was to build something without a mortgage using as many reclaimed and recycled materials as possible. 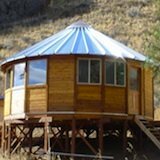 Since December of 2011 she has been building it on her spare time with her boyfriend and dad in Boise, Idaho. 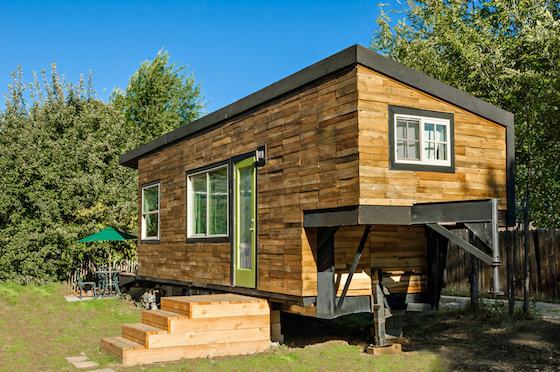 It started on November 17, 2011 when she bought Go House Go: How to Build a Tiny House on Wheels by Dee Williams. Two days later she acquired the trailer for just $500 and started getting to work right away. The design was created for two adults with the possibility of a baby coming into the picture with just a little bit of modifcations. And that's a good thing because she's pregnant now. So far she's spent around $11,416 on the house. Not too bad but remember that she's done all of the labor herself and she used lots of reclaimed materials. 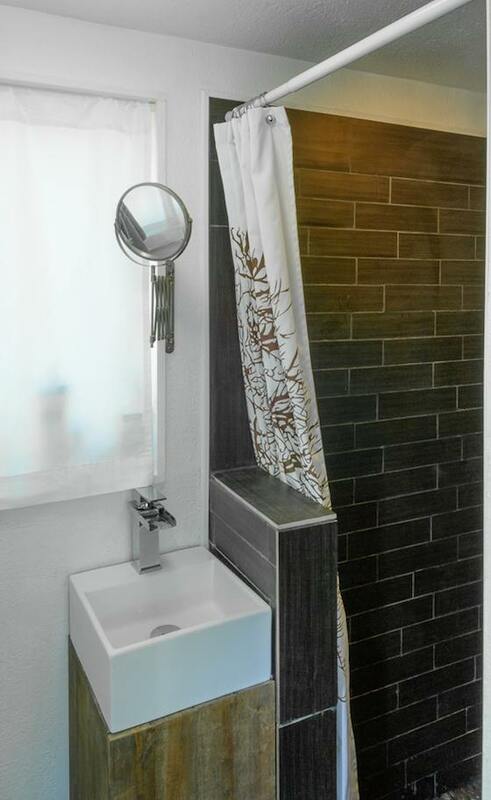 I love the modern bathroom. 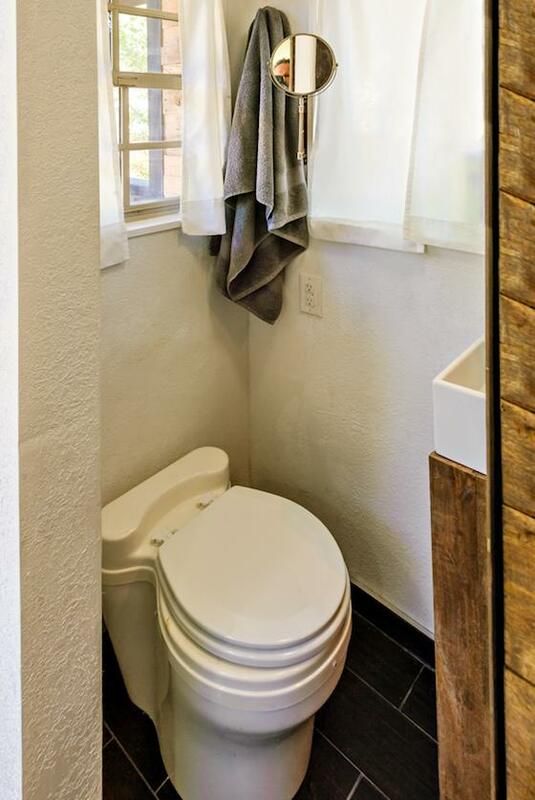 And the toilet is actually one of those fancy composting toilets that are actually really expensive. But I hear they work quite well, too. Some folks hate them, others love them. A bucket works for some, and this works for others while the rest keep flushing, right? 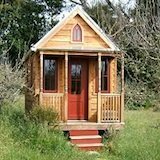 To learn more about Macy's tiny house you can visit her blog that's entirely dedicated to it. You can see even more photos from this shoot right here to see more details of her home. If you have any other questions for Macy I encourage you to check out her common questions section where she answers tons of frequently asked questions about tiny living, building her house, and more. Learn more about Macy here. 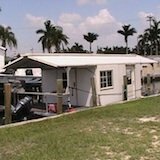 Get More Tiny Housing Updates in your Email! 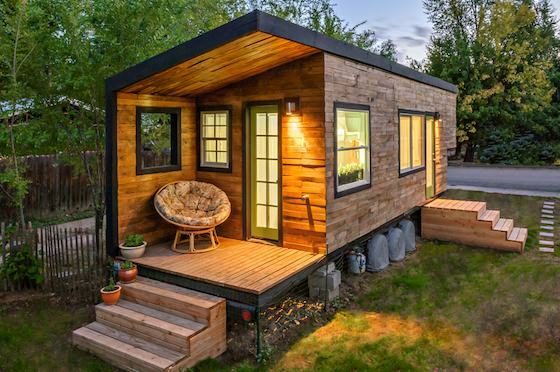 If you enjoyed Macy's tiny home you'll love our free daily tiny house newsletter!